A very thorough reassessment of the climbing on the south side of the A5, based around the ever-popular Tryfan and Cwm Idwal areas, including some 140 new routes climbed since the last guide, and many ‘rediscovered’ older climbs. The new routes are at all grades and on both old and new crags. Among the latter are the Eastern Cliffs of Gallt yr Ogof, including Skyline Buttress, the location of some of the hardest climbing in Wales where the E9 Mission Impossible has been the subject of much recent publicity. 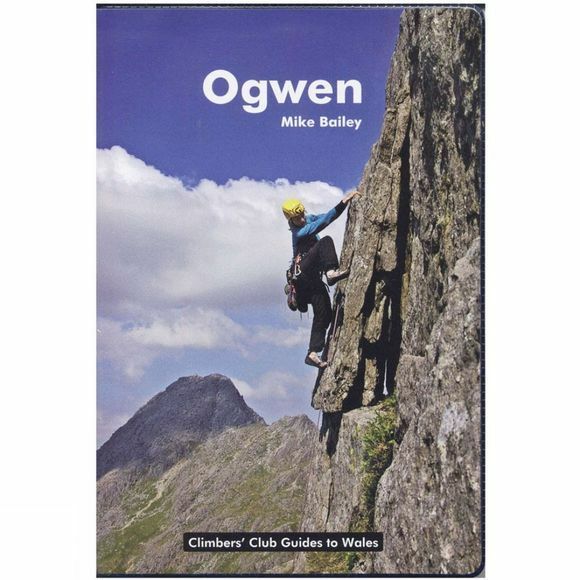 Similar in format to the well-received Llanberis guide published 2009, with many action photos, all-colour photodiagrams, and photoplans (93 in total, even more than in Llanberis), and bouldering sections by Simon Panton. The guide also has a chronology (a combination of the historical and first ascents sections), which includes short biographical notes on the leading activists over the years. Particular attention has also been given to highlighting some of the easier climbs, which are now often climbed as scrambles.